Why study ocean tipping points in Hawai'i? In response to stressors such as pollution and fishing, reefs can “tip” into a degraded state that may be difficult to reverse. The people of Hawai‘i depend upon a healthy nearshore ecosystem for food, clean water, commerce, recreation, and culture—tipping points can alter these benefits. Resource managers need to know when, where, and why tipping points may be crossed to help protect and restore these valuable ecosystems and the benefits they provide. With an unprecedented collection of field data, our collaborative team is asking how environmental factors and human uses interact to shape nearshore Hawaiian reefs. We are quantifying the combinations of stressors that trigger reef tipping points and developing practical strategies to avoid or reverse these tipping points. Locally, we are assessing the social, environmental and economic costs and benefits of different actions aimed at reducing risks of tipping points and enhancing reef resilience. ​​For an overview of our Hawai'i case study in PDF form, please click here. Reef ecosystems in many parts of the world have “tipped” into alternate ecosystem states, often with negative consequences for biodiversity and coastal communities. The Hawaiian Archipelago presents a rich opportunity to investigate reef tipping points and their causes. Because of their unique geologic history and oceanographic setting, Hawaiian reefs vary widely in their structure, appearance and sensitivities—from wave swept boulder fields to delicate coral-lined lagoons. This diversity means that resilient reefs do not all look the same, and the levels of stressors that trigger big changes will differ among reef types. 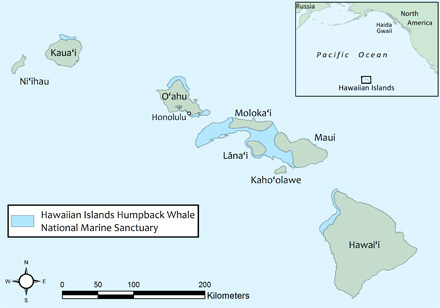 The archipelago’s well-sampled reefs span strong gradients in environmental conditions and human uses, allowing us to investigate how these factors combine and interact to affect what different reefs look like across the island chain and how resilient they are to disturbance – an important first step toward building tipping points into Hawaiian reef management. Our ultimate goal is to develop tools, maps, and guiding principles to help define the “safe operating space” for management actions where undesirable tipping points are avoided and address specific issues, such as land-based source pollution and overfishing. Through this case study, we aim to contribute to a better understanding of how to anticipate, avoid, and respond to ecosystem shifts in Hawai‘i and elsewhere around the world. Expanding upon previous efforts to synthesize reef data we have compiled the most comprehensive database of fish and benthic species available for the Hawaiian islands, from nearly 6000 sites. With these data we are able to define and map reef states across the entire Archipelago. We are bringing these biological data together with human-use and environmental data to understand what drives changes in reef state and quantifying threshold levels of the stressors that result in disproportionate changes in reef condition. Additionally, we are identifying indicators that may provide warning signs of impending tipping points. Finally, we are working with managers in focal areas (West Maui and West Hawai‘i) to assess the social, environmental, and economic costs and benefits of different land and ocean management actions and identify the most promising coordinated strategies to reduce the risk of crossing undesirable tipping points or restore reefs that have already tipped with the goal of finding effective, efficient, and equitable management strategies that will encourage stakeholder engagement and conflict resolution. Our Hawai‘i case study research team is an interdisciplinary group made up of Hawai‘i-based, mainland, and international experts, partnering with state and federal agencies, NGOs, and community groups to determine ways to collaborate and leverage efforts. Collectively, this diverse team has visited nearly every reef in the archipelago, logged thousands of hours underwater, spent decades working in the region, and contributed over 100 publications related to marine research in Hawai‘i. The insights gained in this case study will have potential impact for reefs globally.